It is more than often people tag women’s mood swings as PMS-ing, don’t they? It does not matter whether that particular woman is in her menstruation cycle or not, PMS or premenstrual syndrome has been normalised as just mood swings. But it is surely far more complicated than that. It might be a very common condition which affects many women in India, but it affects more on the health of women than we can ever presume. What is premenstrual syndrome, you ask? Well, it can be defined as the condition of women’s physical and mental health which often reflects on their behaviour. It usually starts 5 or 10 days prior to every menstruation cycle and vanishes just before the menstrual cycle begins. However, the intensity of mood swings and behaviour changes from woman to woman. But some common symptoms are always there to trace it out. Let us have a look. You might say that it is easy to notice premenstrual syndrome symptoms but not when it fluctuates a lot. The lists of premenstrual syndrome symptoms are quite long, and it includes both physical and mental elements. In most women, the premenstrual syndrome symptoms disappear on the first or second day of the menstrual cycle. Also, PMS does not happen every month. Sometimes, it comes as a severe disorder and other times it does not. However, many women experience the premenstrual syndrome symptoms every month, and it affects their regular life big time. In that case, it is called premenstrual dysphoric disorder or PMDD. 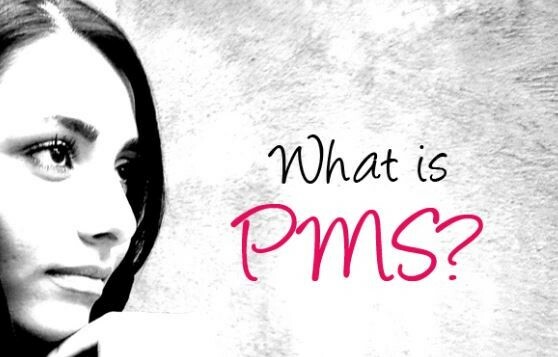 (Hormonal changes are the main reasons for PMS. The level of hormone fluctuates a lot during and before a menstrual cycle which causes extreme PMS in women. Another reason is the change in chemicals in the brain. It has been seen that the change of serotonin in the brain can affect moods and behaviours in human. Apart from these two causes, another subtle reason behind extreme PMS can be depression. It has been seen that lots of women with extreme PMS were suffering from undiagnosed depression. However, it does not cause all the physical and mental symptoms of PMS. It is hard to tell when to see a doctor for PMS. However, if your PMS is so extreme that your daily life is severely affected, it is the right time to consult your doctor. Also, if your PMS does not go away even after your menstruation cycle, you should always consult a doctor first. PMS is quite common in women, and there’s no need to panic when you have been diagnosed with premenstrual syndrome symptoms.